This photo was taken from Liberty Island, and shows an usual point of view of the Statue of Liberty. 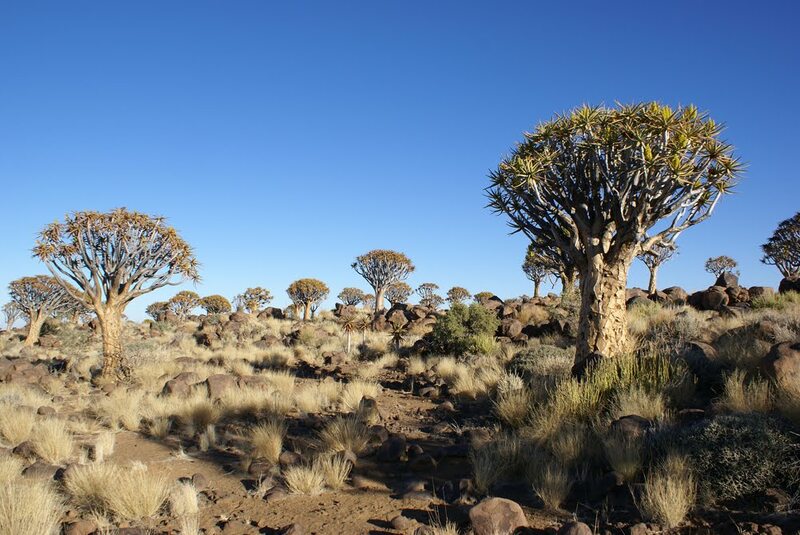 This photo was taken about 13 kilometres north-east of Keetmanshoop, where lies the spectacular and much photographed Kokerboom or quiver tree forest on the farm Gariganus. 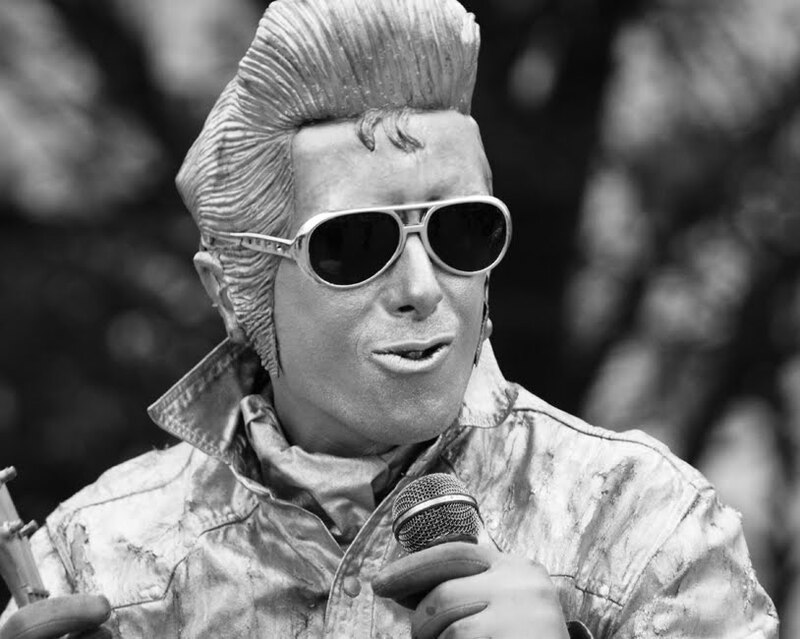 The site has been declared a National Monument. 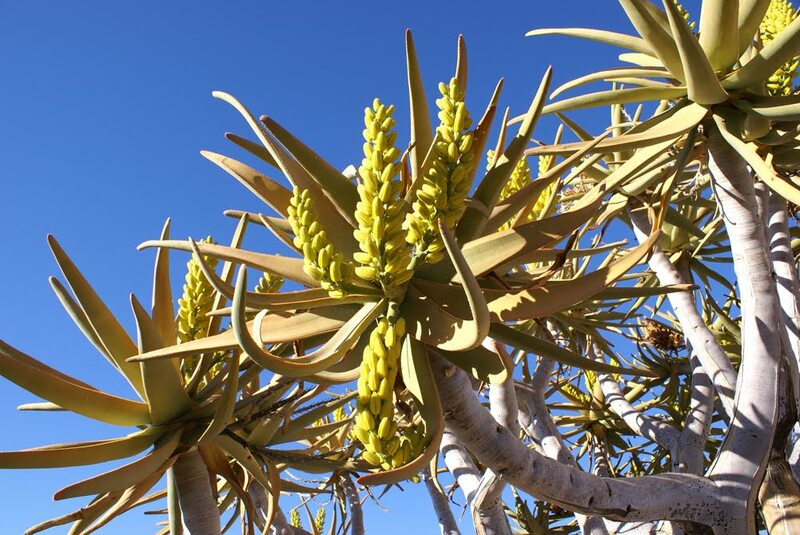 The quiver tree or "Kokerboom" is indigenous to the hot and dry southern part of Namibia. The plants are succulents and can reach a height of up to 9 metres in height. They have adapted to the extreme environmental conditions by storing water in their trunks. The tree only blossoms for the first time after 20 to 30 years and can reach 300 years of age. The wood is very light and spongy inside. And because the trunk and branches can be easily hollowed out, they were used as quivers by the bushmen (San people) who formerly inhabited this area. Aloe dichotoma, also known as Quiver tree or Kokerboom, is a species of aloe indigenous to Southern Africa, specifically in the Northern Cape region, and Namibia. 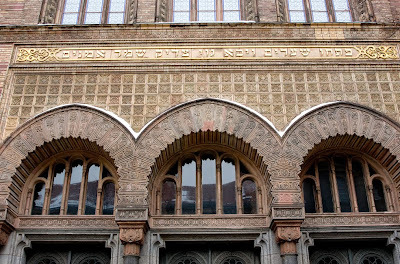 These are three photos of the The Neue Synagoge ("New Synagogue"), built 1859–1866 as the main synagogue of the Berlin Jewish community, on Oranienburger Straße. Because of its splendid eastern Moorish style and resemblance to the Alhambra, it is an important architectural monument of the second half of the 19th century in Berlin. The building was designed by Eduard Knoblauch. Following Knoblauch's succumbing to illness, Friedrich August Stüler took responsibility for the majority of its construction as well as for its interior arrangement and design. It was inaugurated in the presence of Count Otto von Bismarck, then Minister President of Prussia, in 1866. 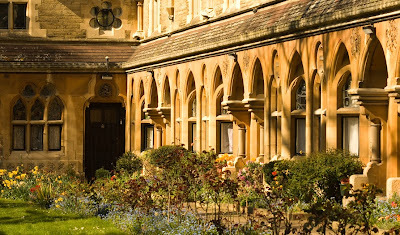 It was badly damaged prior to and during World War II and subsequently much was demolished; the present building on the site is a reconstruction of the ruined street frontage with its entrance, dome and towers, and only a few rooms behind. 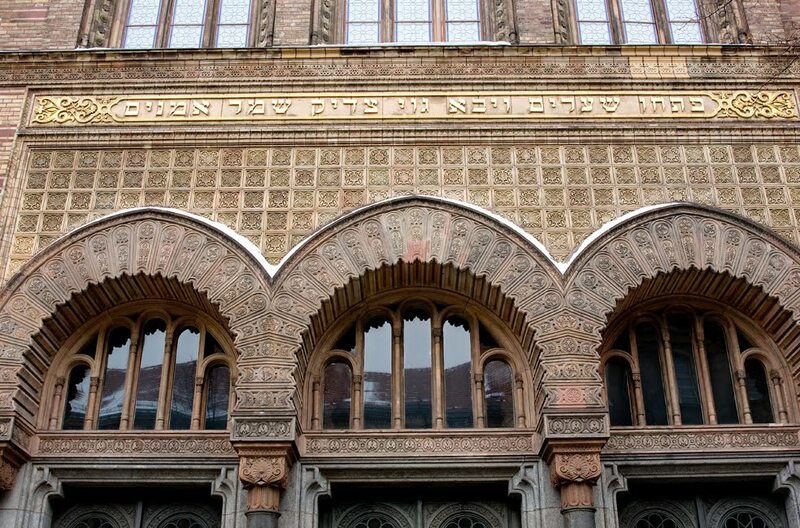 It is truncated before the point where the main hall of the synagogue began. The front of the building, facing Oranienburger Straße, is richly ornamented with shaped bricks and terracotta, accented by coloured glazed bricks. Beyond the entrance, the building's alignment changes to mesh with pre-existing structures. 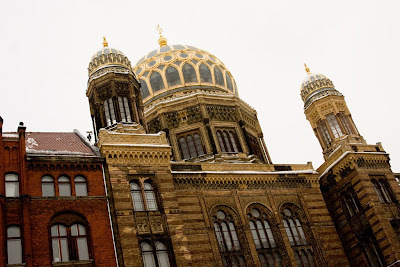 The synagogue's main dome with its gilded ribs is an eye-catching sight. The central dome is flanked by two smaller pavilion-like domes on the two side-wings. Beyond the façade was the front hall and the main hall with 3,000 seats. Due to the unfavourable alignment of the property, the building's design required adjustment along a slightly turned axis. 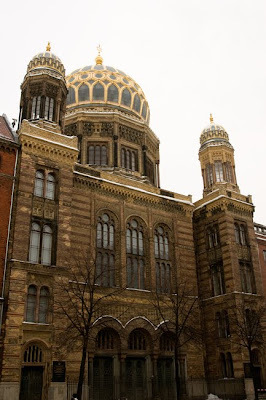 The Neue Synagoge is also a monument of early iron construction. This is a photo of London City Hall, the the headquarters of the Greater London Authority (GLA) which comprises the Mayor of London and London Assembly. It is located in Southwark, stands on the south bank of the River Thames near Tower Bridge (in the background). 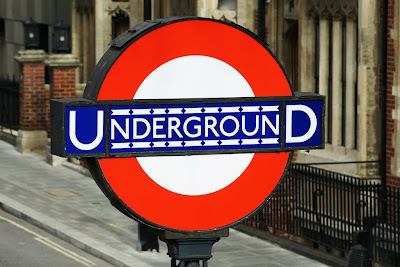 It was designed by Norman Foster and opened in July 2002, two years after the Greater London Authority was created. The building has an unusual, bulbous shape, intended to reduce its surface area and thus improve energy efficiency. It has been compared variously to Darth Vader's helmet, a misshapen egg, a woodlouse and a motorcycle helmet. 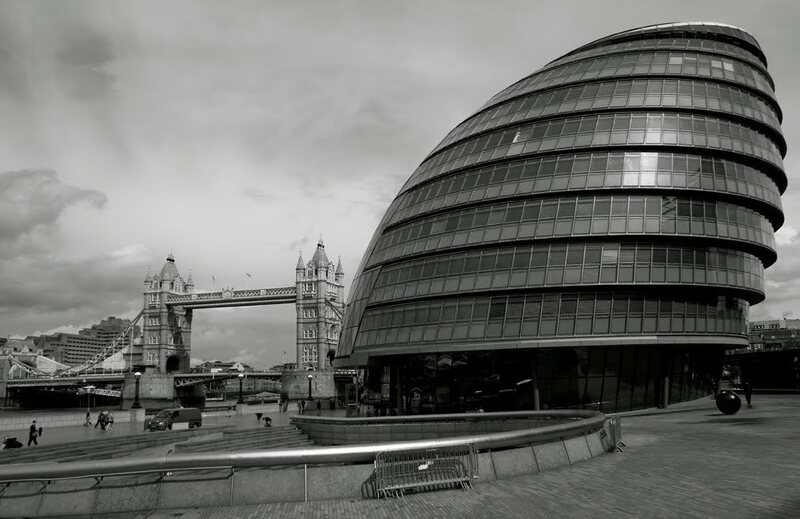 Former mayor Ken Livingstone referred to it as a "glass testicle", while the present mayor, Boris Johnson, has referred to it as "The Glass Gonad" and more politely as "The Onion". Its designers reportedly saw the building as a giant sphere hanging over the Thames, but opted for a more conventionally rooted building instead. It has no front or back in conventional terms but derives its shape from a modified sphere. A 500-metre helical walkway, reminiscent of that in New York's Solomon R. Guggenheim Museum, ascends the full height of the building. At the top of the ten-story building is an exhibition and meeting space called "London's Living Room", with an open viewing deck which is occasionally open to the public. The walkway provides views of the interior of the building, and is intended to symbolise transparency; a similar device was used by Foster in his design for the rebuilt Reichstag (parliament) in Germany. This is a photo of a taxicab in Manhattan, New York. 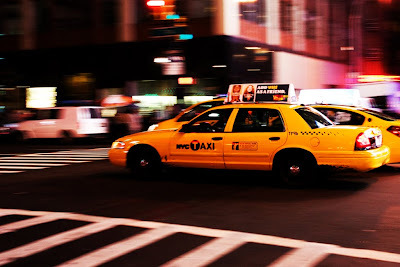 The taxicabs of New York City, with their distinctive yellow paint, are a widely recognized icon of the city. Taxicabs are operated by private companies and licensed by the New York City Taxi and Limousine Commission. The Commission is a New York City government agency, within the New York City Department of Transportation, that is best known for its responsibility for the more than 13,087 taxis operating in the city. It also oversees over 40,000 other for-hire vehicles, including "black cars", commuter vans and ambulettes. "Medallion taxis," the familiar yellow cabs, are the only vehicles in the city permitted to pick up passengers in response to a street hail. 21st of March is springtime in Nothern Hemisphere ! This photo was taken a few days before the arrival of spring in the north of Europe. 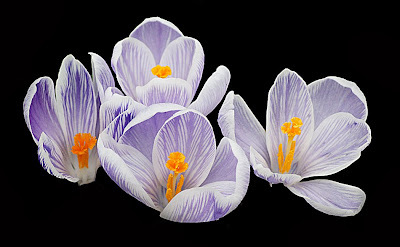 Dutch crocus (Crocus Vernus) is a plant of the Crocus genus in the Iridaceae family. 'Pickwick' is a lovely variety with delicate white flowers, veined with deep purple. It is an ideal bulb to naturalise in grass. The flowers appear from spring to early summer but during mild winters they can bloom as early as February. These photos were taken in London last year, where the first ever Newroz or Nowrūz festival was held at Trafalgar Square. 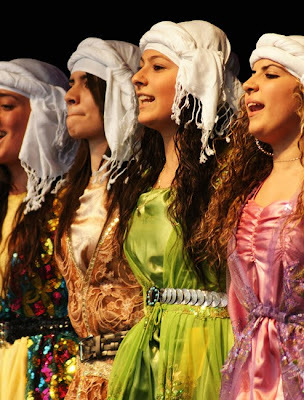 Amongst many performers there was two folk dance groups called Govenda Asti and Azadiya Perperok. Nowrūz (Dita e Novruzit in Albanian, نوروز in Persian, meaning 'New Day') is the traditional Iranian new year (Persian) ceremony. 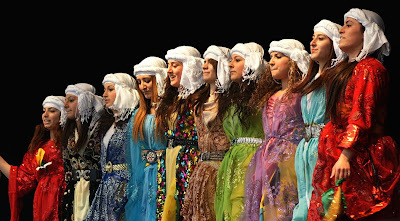 Nowruz is celebrated and observed by Iranian peoples and the related cultural continent and has spread in many other parts of the world, including Turkey, parts of Central Asia, South Asia, Northwestern China, the Crimea and some ethnic groups in Albania, Bosnia, Kosovo and the Republic of Macedonia. The only Hindu ethnic group that celebrates Nowruz is the Kashmiri Pandit community. Nowrūz was officially registered on the UNESCO List of the Intangible Cultural Heritage of Humanity. Nowruz marks the first day of spring and the beginning of the year in Iranian calendar. This photo was taken in Sossusvlei, Namibia, in the central Namib Desert, lying within the Namib-Naukluft National Park, known for the high, red sand dunes. This photo was taken during this year's St Patrick's Day Parade and Festival, organised every year in London since 2002. 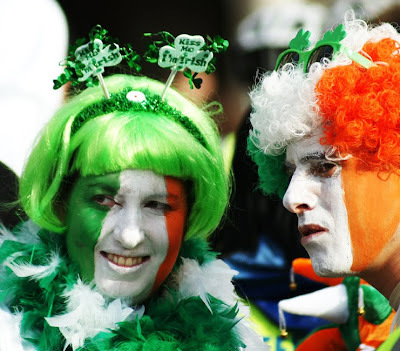 St Patrick's Day (Lá Fhéile Pádraig), colloquially St. Paddy's Day or Paddy's Day, is an annual feast day which celebrates St Patrick (circa AD 385–461), one of the patron saints of Ireland, and is celebrated on March 17. This photo was taken in Wat Benchamabophit Dusitvanaram (วัดเบญจมบพิตรดุสิตวนารามราชวรวิหาร), a Buddhist temple (wat) in the Dusit district of Bangkok, Thailand. Also known as the marble temple, it is one of Bangkok's most beautiful temples and a major tourist attraction. Construction of the temple began in 1899 at the request of King Chulalongkorn after building his palace nearby. The temple's name literally means the Temple of the fifth King located nearby Dusit Palace. It was designed by Prince Naris, a half-brother of the king, and is built of Italian marble. Inside the ordination hall (ubosot) is a Sukhothai-style Buddha statue named Phra Buddhajinaraja, cast in 1920 after the original located in Wat Mahathat in Phitsanulok. The ashes of King Chulalongkorn are buried beneath the statue. In the gallery surrounding the ordination hall are 52 buddha statues, collected by Prince Damrong Rajanubhab for his king. The site contains the Benchamabophit National Museum. 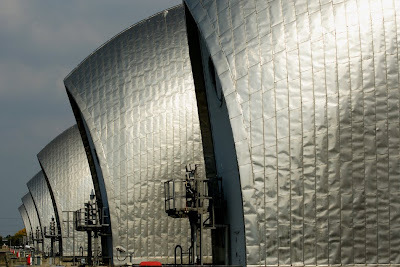 These are two photos of the Thames barrier, a flood control structure on the River Thames, constructed between 1974 and 1984 at Woolwich Reach, and first used defensively in 1983. It has been used over 100 times defensively, the last of which was on March 19, 2007. It is the world's second largest movable flood barrier (the largest is the Maeslantkering in The Netherlands). Located downstream of central London, the barrier's purpose is to prevent London being flooded by an exceptionally high tide moving up from the sea, exacerbated by a storm surge. Built across a 523 metre wide stretch of the river, the barrier divides the river into four 61m and two 31m navigable spans and four smaller non-navigable channels between nine concrete piers and two abutments . 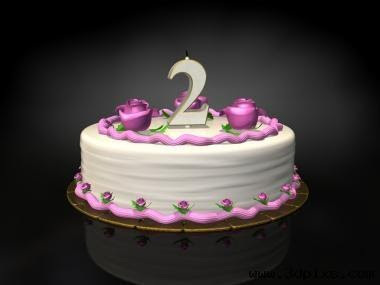 Second anniversary of this photoblog ! This blog has two years today. I take this opportunity to thank all of you who supported this blog with various techniques from the blogosphere, commented on the posts, subscribed via RSS and/or Email, and showed me their appreciation via very different and various modern media! 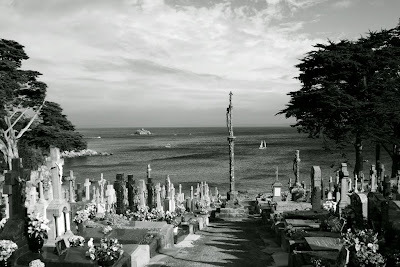 It has been a long and demanding journey, with more than 700 photos and posts. But it also brought some rewarding achievements : excluding hundreds of RSS and Email subscriptions, 45,000 visitors (35,000 unique visitors, and high loyalty from a few hundreds of them), coming from more than 145 countries, and who spent more than 150,000 cumulated minutes viewing more than 150,000 pages. I hope you took pleasure in browsing the pages and get your daily dose of image. Let's see what this blog will become in its third year as I am not quite sure yet ! 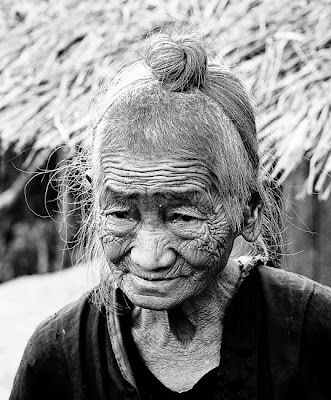 This photo was taken in the north of Laos , in a small Akha village. Lao Sung (or more commonly Lao Soung) is an official Laos PDR designation for highland dwelling peoples in Laos (the others being the Lao Loum and the Lao Theung). The ones in Laos, the actual Lao Soung, make up 9% of the Laotian population. The Lao Soung aren't actually one single ethnic group but are made up of (H)Mong (the main group), Yao, Akha, Phu Noi and other people who live in the Laotian mountaintops. 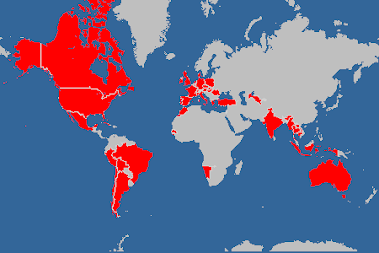 All these groups are related. 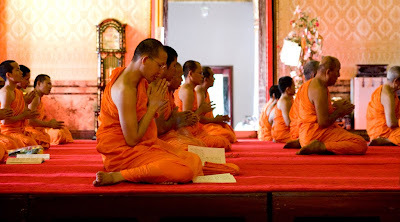 Their main religions are animism, Buddhism, and Chinese folk religions. 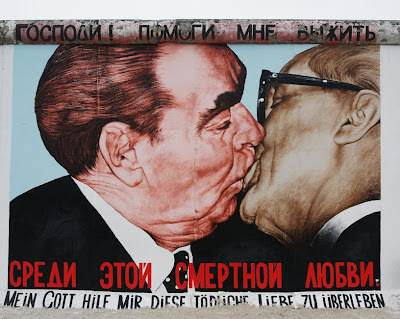 This is a photo taken at East Side Gallery in Berlin (an international memorial for freedom, a 1.3km long section of the Berlin Wall). 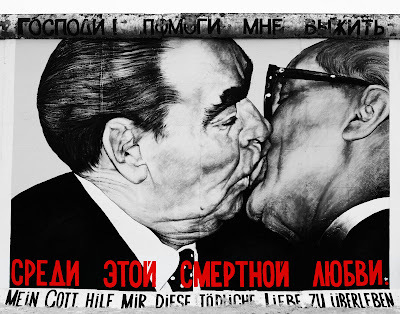 It does show a section of the Berlin Wall, a painting from Russian painter Dmitri Vrubel, called "Mein Gott, hilf mir diese tödliche Liebe zu überleben" (God help me to survive this deadly love affair), depicting the kissing communist leaders Leonid Brezhnev and Erich Honecker. 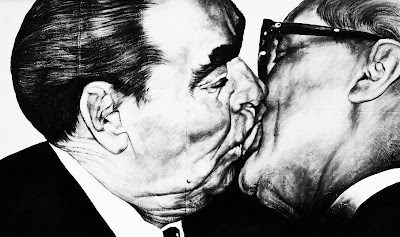 The painting was inspired by the kiss they had in 1979, during the celebration of the 30 years of the GDR. In 2009 the painting was destroyed by the authorities (see Spiegel International article), in order to have it repainted by Vrubel. You will see below my original photo just below, followed by some digital alterations I have played with. Below is an original photo (not from me!) 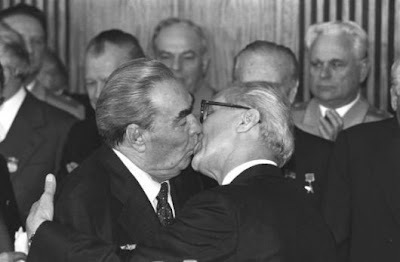 taken in 1979. 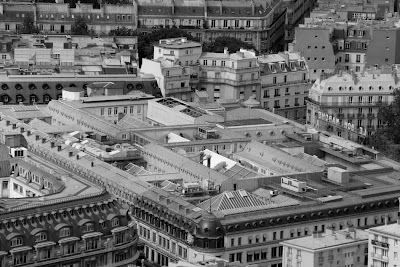 Le Bon Marché ("the good market", or "the good deal" in French) is the name of one of the most famous department stores in Paris, France. It is sometimes regarded as the first department store in the world. Although this depends on what is meant by 'department store', it may have had the first specially-designed building for a store in Paris. The founder was Aristide Boucicaut. 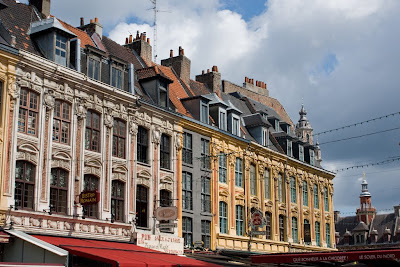 The store was founded as a small shop in Paris during 1838, and was a fixed-price department store from about 1850. It was a successful business, and a new building was constructed for the store by Louis Auguste Boileau in 1867. Louis Charles Boileau, his son, continued the store in the 1870s, consulting the firm of Gustave Eiffel for parts of its structure. Louis Hippolyte Boileau, the grandson of Louis Auguste, worked on an extension to the store in the 1920s. 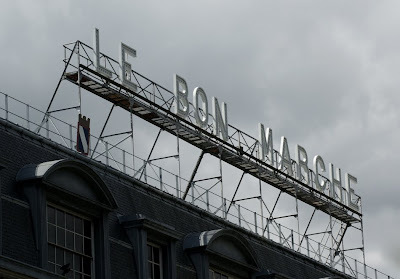 See Le Bon Marché official website (only in French). 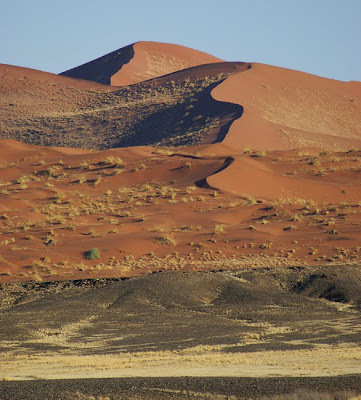 This is a photo taken in the NamibRand Nature Reserve. This is a private nature reserve in Southwestern Namibia on the namib Desert. Founded in 1992, it is 172,200 hectares (1,722 km²), making it probably the biggest nature reserve in Southern Africa and shares a 100 km border with Namib-Naukluft National Park to the west and the Nubib mountains to the east. 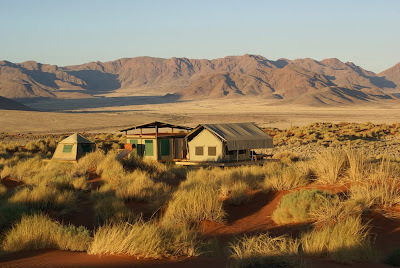 You can have a look at the website of the camp (wolwedans-namibia.com), it is worth the virtual tour ! This photo was taken in May 2009, a few days before it has been painted over. 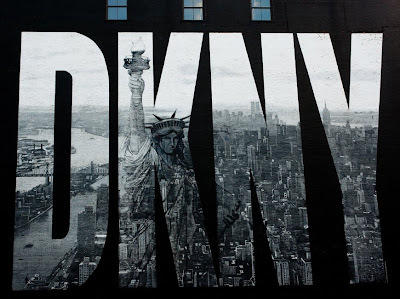 Since the 1990s, the DKNY six-story painting mural painted on the Houston Street side of 600 Broadway has been an icon of New York fashion advertising. When the DKNY ad went up in 1992, it was met with community derision, but it has since earned legendary status. 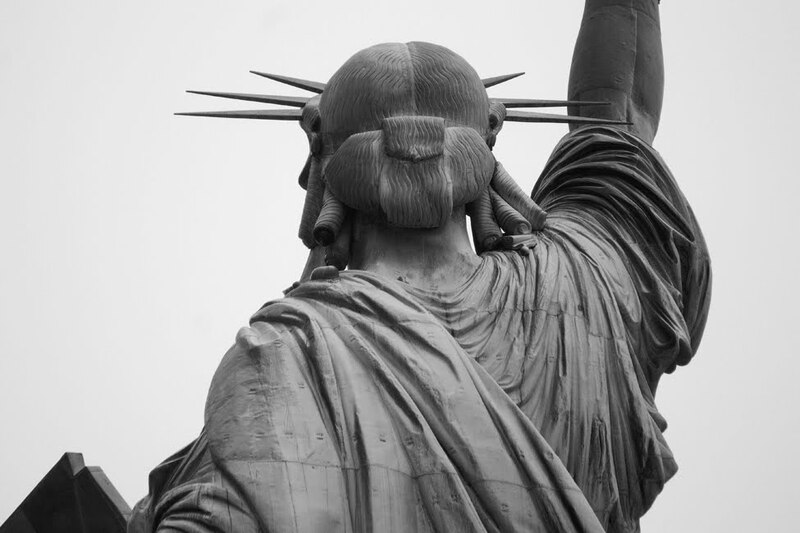 The black-and-white mural shows the Statue of Liberty emerging above a skyline that still features the Twin Towers. After September 11, 2001, the sign became even more significant to locals for its portrayal of a pre-9/11 NYC skyline. In early 2008 rumors began surfacing that the mural would be painted over. 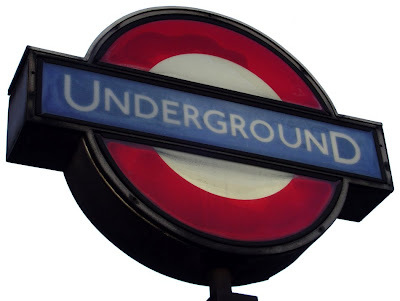 These two photos do show the old and the modern signs of the London Underground. This is a photo taken from the lower entrance of the Sydney Opera House, under the building. 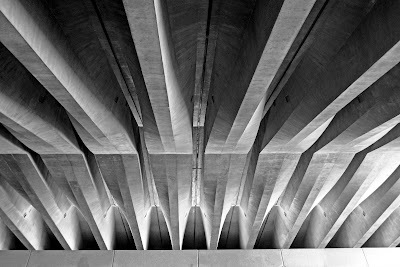 The main structure of the Opera House is of structural poured concrete tees and beams. Each beam has an angular shape versus being just straight up and down on the sides. 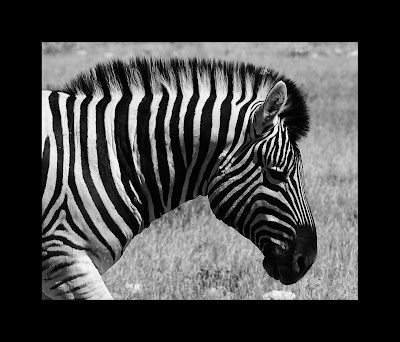 Mountain Zebra, a Hartmann's Mountain Zebra to be precise.